Thabazimbi Karate Club took part in the Hawk Eye Karate Championships that was held in Rustenburg on 31 May 2014. This was an all styles championship. 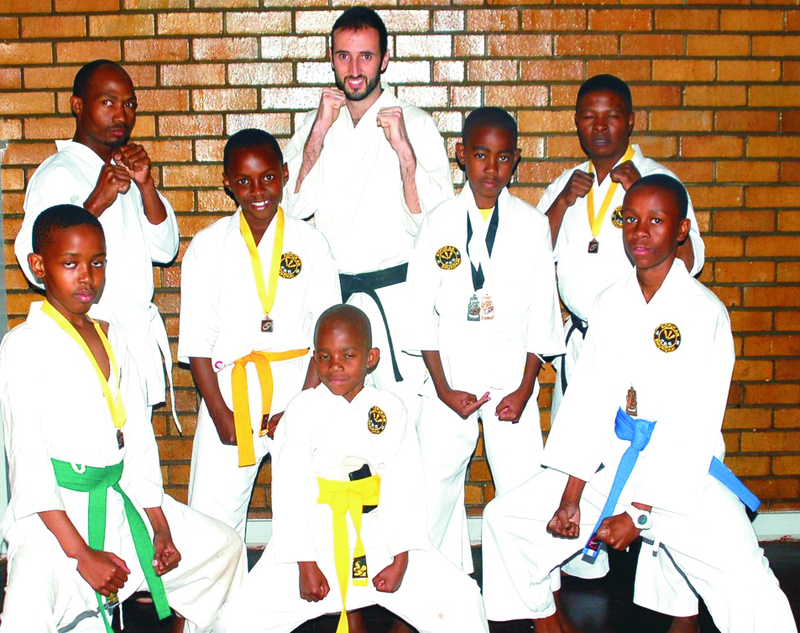 On the photo are the members of Thabazimbi Karate Club that took part as well as those who won medals. They are. Middle Front: Siya Molapisi. Middle from left: Thabo Madisha, Fiki Rimbibi (Bronz – Kumite), Tiniyiko Makobela and Ntando Nkosi (Silver – Kunite; Bronz – Kata). Back: Thapelo Selalome (Silver – Kunite; Gold –Kata), Sensei Rainier le Roux en Thabang Maboke.